I have a confession to make. I'm a sucker for cheat sheets. I think of them as personal consultants who keep me up to speed on topics I should know about - but don’t. I've actually memorized key points from them so I’d be able to contribute something to discussions on district issues or educational trends. Shameless, I know. But in a pinch, they're lifesavers! Of course, I don't wave them around or distribute copies of them to my colleagues. I just stash a few away in some easily-accessible spot so I can sneak a peek at them whenever I need some quick reminders or when I need to get the gist of something I didn't have time to study (sorta like the small collection of CliffsNotes which I never admitted to using in college). I justify my addiction to them by creating my own cheat sheets on topics I’m truly passionate about. The ones I spend months researching until I'm satisfied that I've consumed every morsel of information I can find - because my interest in those topics is insatiable. This makes me feel as if I’m part of a caring, sharing community of cheat-sheet-creating experts. And that makes me happy. 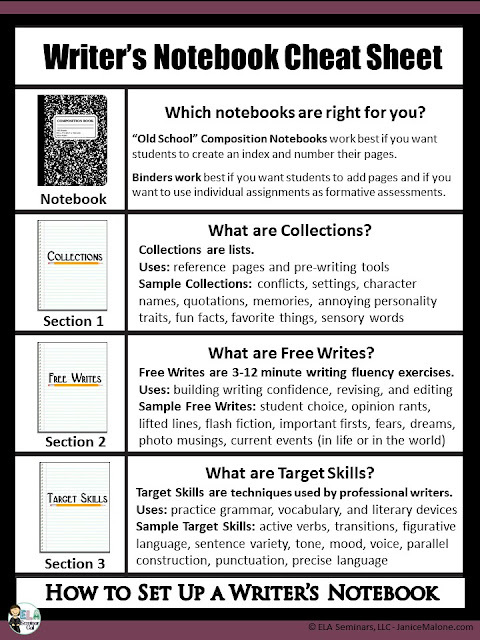 So please grab a free copy of my Writer's Notebook cheat sheet and add it to your stash if you have one. If you don't, what are you waiting for? You can start that collection right now. You'll be hooked once you see how addictive useful they can be. 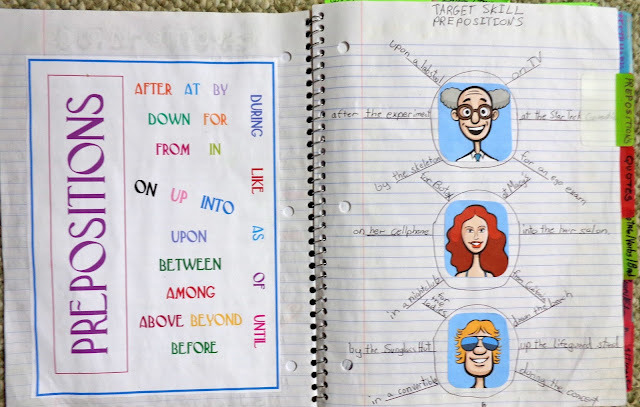 Here's a short video (another way to grab info on the fly) which demonstrates how to set up Writers' Notebooks and how to use them to improve writing proficiencies. Hmmm...maybe I should have called this post The Cheater's Guide to Writer's Notebook. If you'd like to see some completed notebook pages, check out the first post in this series How I Turned Writing-Phobic Students into Writing Machines (or How Ralph Fletcher Rocked My World) Part 1. The next post in the Writer's Notebook series will be dedicated to the Collection Section. 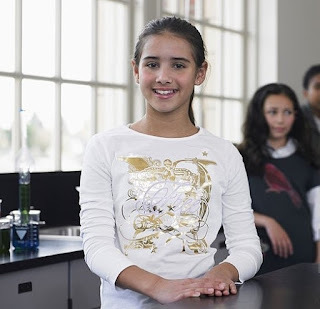 How to access three free collections that you can test drive in your classroom. It’s no secret that I have an author-crush on Ralph Fletcher. I was lucky enough to see him in person (twice! woohoo! ), and I could hardly contain my joy. I threw my hand up like an excitable fourth grader when he asked for volunteers. I asked questions - so I could pretend he was talking just to me. And at the break, I got him to sign two books for me (I always thought it was ridiculous to stand in line to have an author sign books…until I became a bonafide Ralph groupie.). I love the way he writes. I love the way he speaks. And I love the way he looks. Okay, I know the last one was a little bit more information than I needed to share – but it’s true. So what sparked this author crush? His crazy-good, life-changing Writer’s Notebook books. 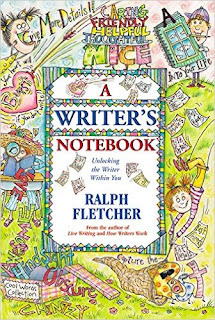 Ralph Fletcher has written a lot of books about teaching kids to write the way real authors write (and each one is filled with ah-ha moments and practical tips), but the one that sparked my insatiable desire to learn more was A Writer's Notebook: Unlocking the Writer Within You. I’m not kidding when I say that once I applied the techniques in this book, I started looking forward to the ELA writing block – every single day. Why? Because my students loved it! Not only did Writers’ Notebooks change the way I taught writing, but they turned even my most reluctant writers into writing machines - who actually wanted to share what they wrote. Be. Still. My. Heart. So what exactly is a Writer's Notebook? Yep. It’s just a simple, blank notebook where writers collect ideas (lists), free write (fluency), and practice targeted skills (figurative language/word choice/sentence structure). Essentially, it’s the place where ideas for future writings (i.e. pre-writing and drafting gems) are stored. That’s it. Nothing else. No full-length pieces. No final drafts. But believe me, if you want to see dramatic improvements in your students’ writing it’ll be more than enough. There are many ways to use Writers' Notebooks, but I either use them as stand-alone exercises to build writing confidence or as warm-up exercises during the mini-lesson portion of Writer’s Workshop. Sometimes students generate lists (e.g. annoying personality traits, character names, substitutes for overused words). 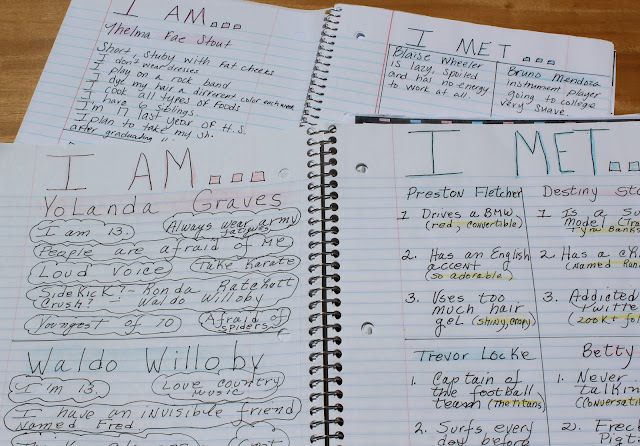 Not only do student-generated lists serve as great pre-writing tools and year-long reference pages, but students feel a sense of ownership as they create and share these lists in pairs and small groups. Sometimes they'll draft free writes about something that's on their minds or about something I suggest (e.g. recounting an event that happened over the weekend, taking a stand on a controversial issue, writing a character description). 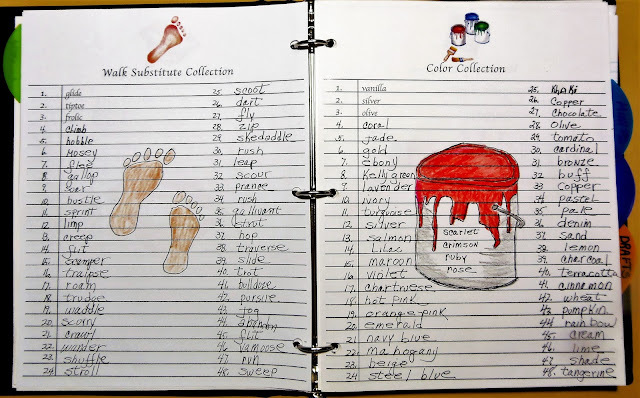 Free writes (10-12 minutes drafts) help students experiment with different writing styles. Since free writes are non-threatening by design, students find it easy to develop a style that feels natural and conversational. ***An extra free write bonus is that many of these short pieces will become part of longer assignments later in the year. And sometimes students fool around with language to help them develop a unique writing style (e.g. playing with punctuation, practicing sentence-building techniques, experimenting with word choice). I can't think of a more entertaining way to teach grammar and mechanics than to have students create visually-rich pages which will be repurposed as valuable guides for the editing and revising stages of the writing process. Although Ralph Fletcher emphasizes that a pure Writer’s Notebook should be filled only with pieces dreamed up by each student, I have found that many students need to have a suggested topic to fall back on in case they're not inspired to come up with their own on any given day. There are also times when I require students to write about a pre-determined topic (Shhh…don't tell Ralph.) in order to make the scary process of writing a five-paragraph essay or a full-length narrative fun, easy, and achievable for inexperienced writers. I'll talk more about that in a future post. If you'd like to view more sample pages you'll find them under the Visual Writer's Notebook tab above this blog or by clicking the button below. In my next Writer's Notebook post, I'll be sharing a short video on how to set up notebooks and I'll be including a downloadable Writer's Notebook cheat sheet. AHHHH!!! That’s the cry made by every ELA teacher who's ever tried to get students to write riveting character descriptions. John Doe is a 5'5" eighth-grade student with brown hair and brown eyes. Didn't we just spend three days talking about what makes a character intriguing, frightening, noble, irresistible, repulsive, and quirky? After all those epic discussions, how could I possibly be reading height, age, and hair/eye color descriptions...again? This was the problem I faced every year with my budding eighth-grade writers. I simply could not figure out how they could find and discuss interesting characters in books but could not transfer those skills when writing their own character descriptions. But after doing a little investigating, I found out that this was happening in middle schools and high schools EVERYWHERE. "Authors often create character sketches before they do any writing of the book." 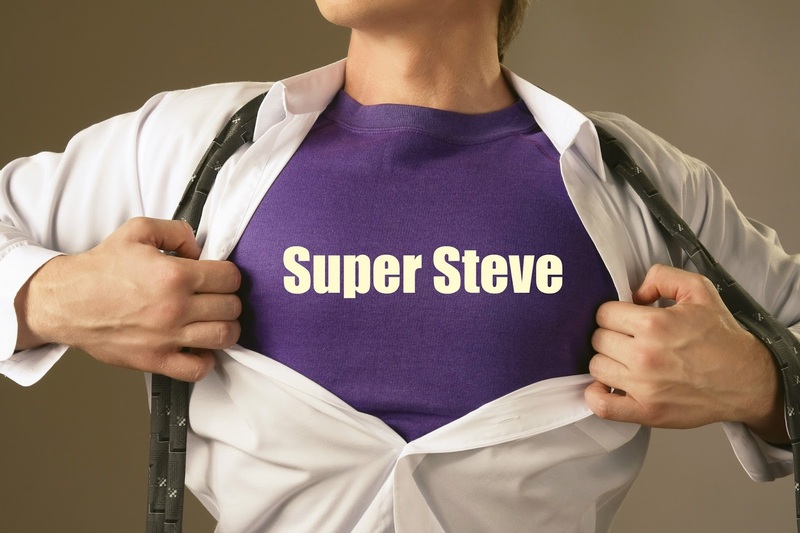 Their hope is that they can craft character descriptions which are so realistic that the authors - and eventually their readers - feel as if they could "step into their characters' shoes and predict what they would do next." Shazaam! That was it. I had to figure out a way to get my students to step into the shoes of their own characters. That's when I tried Character MeetUps. Thankfully, this would become the activity that put an RIP stone on the 5'5" brown-haired, brown-eyed John Doe descriptions forever. If you want your students to write descriptions which help readers put themselves in characters' shoes, click here to check out the materials used in this Character MeetUp lesson or here to access an entire bundle of lessons that help students craft killer descriptions every time they write. And last (but not least) here's a set of quick start directions along with student notebook pages so you can try this in your classroom right away. That's it for now, so until next time…stay committed…teach with passion…and inspire students with who you are. Take a look at any magazine display and you’ll find cover teasers that feature Top 10 Lists. Why? Because they’re almost impossible to resist. Have fun guessing what items might appear on each list. 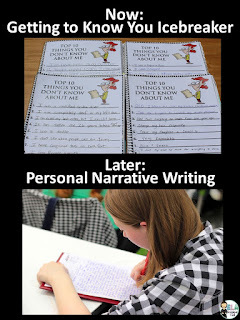 Create prewriting resources for essays and personal narratives. You can learn about this strategy by watching the two-minute screencast. And be sure download the three free list-making lessons located under the video. Thanks to ELA Buffet and Desktop Learning Adventures for hosting this blog hop. The truth is: Every story that contains a compelling conflict contains elements of a scary story. But when it comes to writing a story that compels readers to stick around and find out whether the main characters end up as victors or victims - the mood-setting elements in the horror story genre become master manipulators of readers' emotions. One of the most effective ways to demonstrate how to create conflicts-that-readers-gobble-up is to read scary stories aloud to students. 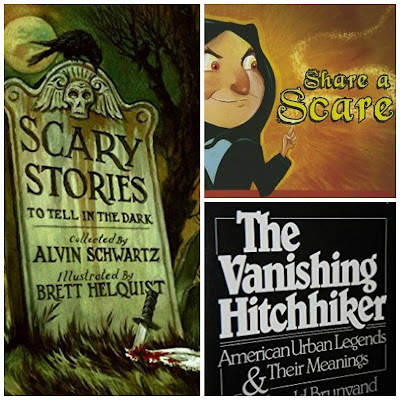 Three of my go-to mentor texts that work with students of all ages include: Share a Scare, The Vanishing Hitchhiker: American Urban Legends and Their Meanings, and Scary Stories to Tell in the Dark. Share a Scare by Nancy Loewen - This book not only offers every reader a series of cringe-worthy moments, but it walks readers step-by-step through the process the author used to create them. The Vanishing Hitchhiker: American Urban Legends and Their Meanings by Jan Harold Brunvand - The short, classic urban legends in this collection are perfect for conducting mini-lessons that never fail to captivate audiences - young and old. It doesn’t matter if students are in third grade or if they’re seniors in high school - almost everybody loves a good scare. … Darkness that Foreshadows an Unknown Danger. But regardless of how they got themselves into a scary situation in the first place, the magic happens as they go about trying to make a situation right that has gone terribly wrong. Unfortunately, one of the tragic parts of this genre is that many of these characters don’t ever get to learn from their mistakes. The only silver lining is that maybe we, the readers, can. 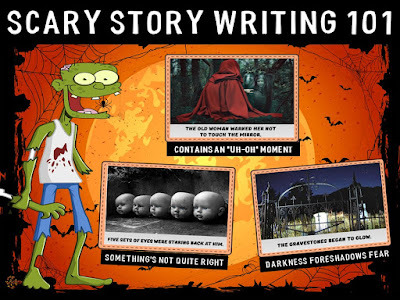 The easiest way to get students started writing scary stories is to (1) read them a few of your favorite spooky tales, (2) hang scary, captioned pics around the room so groups of students can rotate through them and brainstorm story ideas (e.g. Gab & Go Stations), (3) post the scary story elements on the board, and (4) have students free-write for 12 minutes. 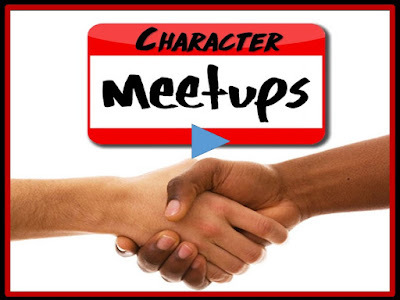 The next blog post in this active student engagement series is How to Host a Character MeetUp. It’s the beginning of another school year and you’re fired up. A new group of students is headed your way. You’re ready to motivate them, stir their curiosity, and entice even your most introverted students to actively participate. You have one goal: You want everyone in your care to know they're in a safe, creative place so you can help them grow. And if you teach English Language Arts, part of that job is to make sure your students grow as readers and writers. You start by having students take part in reading, writing and discussion activities that guarantee success. 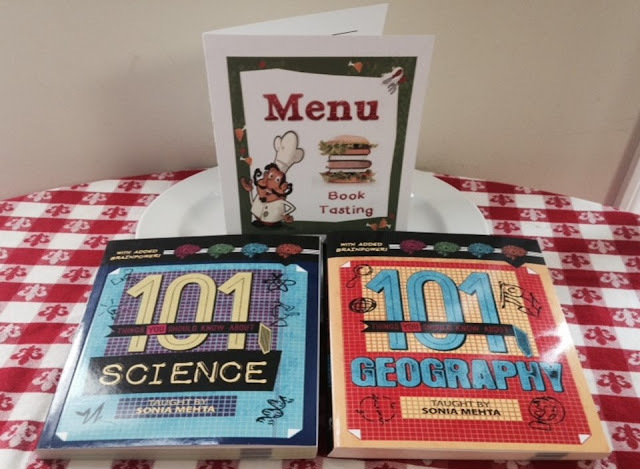 And one of the best ways I know of to get students reading, writing, and discussing in a no-fail environment is to host Book Tasting events. 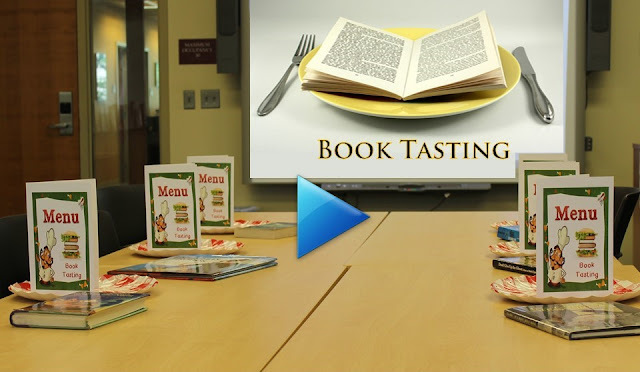 Book Tastings are popular with kids and teachers. They're easy to set up. And they show students that they might be in for a few surprises when they step into ELA class this year. To get started, all you need is a class set of menus, plates, and books. Then, you'll assign a task. 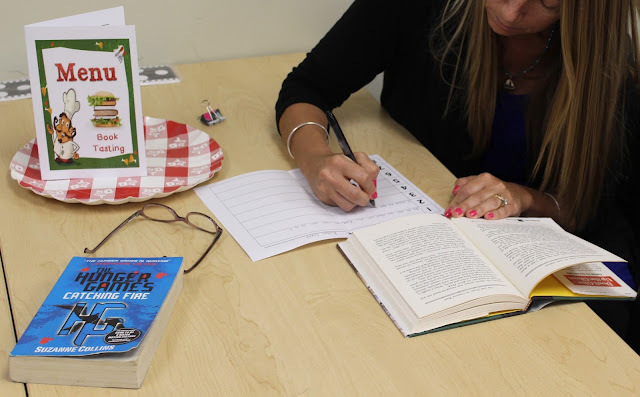 What I like about this particular task is that it exposes students to several different genres (I usually include fantasy, adventure, sports fiction, mystery, and humor. ), and students often get hooked on books they would never have picked up on their own. Note: If you repeat this activity several times throughout the year, this critique and rating task also serves as a handy reading wish list. Here's a sample intro script for nonfiction: “For the next 12 minutes or so, you will be given a few minutes to read as much of each of these four articles as you can. When time is called, your job will be to record one thing you remember from an article before passing it to another student." During this event (I sometimes call nonfiction sessions “Text Tastings.”), students break up into groups of four. 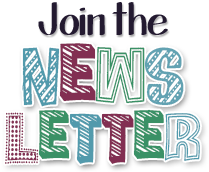 All students will read the same set of articles. This exercise may be followed by a whole-class discussion about the takeaways they recorded -- or students may share which facts were directly quoted, paraphrased, or summarized. Book Tastings may also be conducted using a single book. Some of my best scavenger-hunt-style Book Tastings have been conducted right after a mini-lesson. I simply ask students to open their books and tag parts of the text which demonstrate the skill covered in the lesson. I love to teach a skill and then have students look for examples of it in books they’ve selected themselves. Sometimes, I collect student responses and use them as exit tickets or as assessment pieces. But most of the time, I just have students keep the menu covers so they can add inserts for future Book and Text Tastings. That way, students are able to use the completed inserts throughout the year as reference tools or as writing springboards. 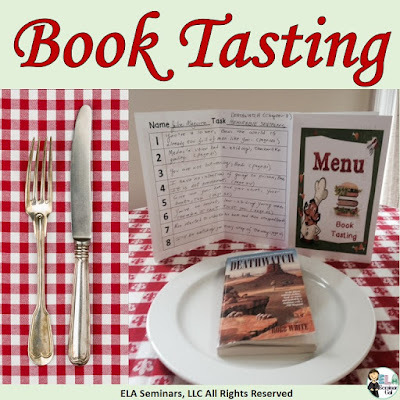 I call the Book Tasting event one of my Magic Lessons because this simple strategy never fails to surprise and delight students year after year. Book Tasting Menus are available here. A special thanks to ELA Buffet and Desktop Learning Adventure for hosting this blog hop event. Voting from Your Seat and Voting on Your Feet are engagement strategies that never fail to get students excited about discussing opinion/argument topics. 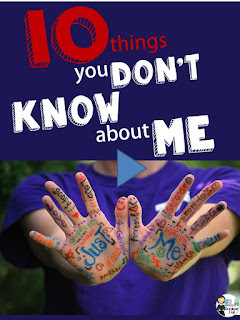 But at the end of the year – especially during an election year – it’s fun to toss out light-hearted topics and have students act as if they're important. The first strategy, Voting from Your Seat, is a whole-class activity which requires almost no preparation. It can be used to re-energize sluggish students, to warm up a class, or to segue into an opinion/argument unit. …remaining in their seats (disagreeing). …putting their hands on their desks (valuing both sides equally or feeling undecided). The teacher calls on students who represent all three positions, and asks them to share their thinking. One of the interesting perks of using this strategy is that the students who have placed their hands on their desks quickly realize that if they’re called on to share, they will have to talk about the pros and cons of BOTH sides of that topic. Therefore, they often wind up taking a position for or against topics - by standing or remaining seated - when future questions are posed. It’s important to make it clear that there are no wrong answers. 1. The thinking and reasoning process is an important part of developing strong arguments. 2. There are many different viewpoints to explore on any given topic. 3. Opinion-sharing helps participants strengthen positions or change positions. Opinion/argument quick drafts should be assigned immediately following this activity while the information is fresh in students’ minds - unless it is simply being used to recharge energy levels. 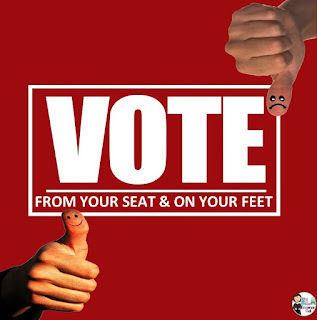 Voting on Your Feet is a more active version of Voting from Your Seat. 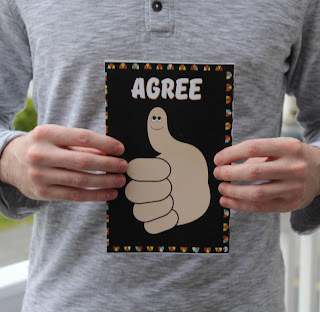 For this exercise, an agreeing poster, a disagreeing poster, and an agreeing and disagreeing poster are posted on three different walls or held by designated students. As each topic is announced, students move to the posters which support their positions the best. The students gathered by each poster discuss their thoughts with like-minded voters. The teacher then calls on one group member to summarize the opinions of the entire group. 1. It is better to be a kid than an adult. 2. Batman is cooler than Superman. 3. I’d rather be attractive than smart. 1. Money can buy happiness. 2. I would rather find true love than find a million dollars. 3. Students who break rules should be given a second chance. 1. Competition is better than collaboration. 2. Girls should be allowed to play on boys’ sports teams. 3. Students should be able to leave school for lunch. You can easily make your own cards and questions or you can pick up a premade set on TpT. This wildly popular game expands upon Voting from Your Seat or Voting on Your Feet. Once the replies to a vote have been shared aloud, place three chairs in the front of the room, and ask for volunteers to sit in them. Tell students to imagine that the people in the chairs are Decision Makers who must be persuaded to grant requests. If the vote is about extending the school year, the Decision Makers could be administrators or school board members. If the vote is about whether someone should be granted true love or a million dollars, they could be genies or fairy godmothers. 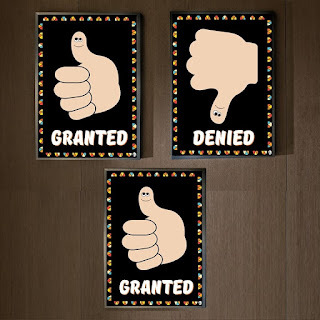 These Decision Makers listen to the opposing sides of each Wish Seeker and then decide whether or to authorize a change or grant a wish by holding up a “Granted” or “Denied” score card after each Wish Seeker’s presentation. If both Wish Seekers offer convincing arguments, they could each leave the mock court with their wishes granted. The teacher may choose to ask one Decision Maker to explain a particular decision or the Decision Makers may be thanked for their service before they’re replaced by three new volunteers. If you have an end-of-year strategy that keeps students engaged during the last few weeks of school or one that gets kids excited about opinion/argument writing, please share. I’d love to hear about it. The next blog post in this active student engagement series is How to Run a Book Tasting Event.